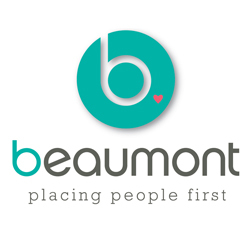 This vital full time permanent position, will work closely with the Benefactor Support Manager. This role is focused on the provision of exceptional customer service to current and potential ACN benefactors and processing a high volume of donations, end-to-end. This role has a strong service focus that is consistent and of high quality. The successful candidate will actively engage current and potential benefactors, in order to identify what ACN project areas they would be interested in supporting. The candidate will be able to effectively communicate the mission and vision of ACN. They will be motivated to provide a positive, respectful and timely customer service experience for all benefactors. This role works across multiple fundraising income streams, processing a high volume of donations daily and assisting with the functions of the ACN online shop. The candidate will assist in the development and implementation of strategies so as to retain benefactor support and generate increased revenue. They will ensure that all information recorded in ACN’s Fundraising Program – The Raiser’s Edge – is accurate and updated as required. Aid to the Church in Need (ACN) is a Pontifical Foundation dedicated to the persecuted and suffering Church. Founded by Fr Werenfried van Straaten O.Praem in 1947 as a Catholic aid organisation for war refugees, ACN is the only international Catholic organisation today that focuses on the pastoral and spiritual support of suffering Christians. Through the offerings of over 400,000 benefactors worldwide, ACN international raises approximately AUD $200 million each year for some 5000 projects in 140 countries. ACN Australia began in 1965 and is one of 23 national offices which seeks to raise awareness and financial support for this work. Please quote in application: Benefactor Support Officer via Pro Bono Australia.